The Annual LNB Alumni Fundraiser is Thursday, April 5 from 6:00 to 10:00 p.m. at The Allen Farmhaus. 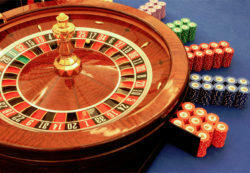 This year’s event is a Casino Royale where you’ll enjoy an evening of games, cocktails and camaraderie. All proceeds benefit the Youth & Adult Leadership programs and scholarships. Individual tickets are $50 each and couples tickets are $90. Ticket holders receive $1,000 in chips. Do you think your class is the best? Now is your chance to prove it by winning the Best Class Cup! This is a friendly competition to see which Leadership New Braunfels class can donate the most to its class basket. Contributions can be monetary or in-kind items. The class with the largest combined value of monetary and in-kind donations wins! You’ll win a shiny trophy engraved with the class year and bragging rights for the year.